Here are 10 QB's who did well after going to another school. These days, college football players are transferring more often as they search for playing time. Even freshmen with a ton of potential are not wasting time to get a chance to shine, which is why players are looking to move as early as their first season if things don’t work out right away. Call it an epidemic if you feel inclined, because this is a growing concern around college football, but this appears to be the new norm for better or worse. The situation at Ohio State is just the latest example of how quickly a team’s quarterback situation can change. Justin Fields was a top-ranked recruit in the Class of 2018 for the Georgia Bulldogs but it became pretty clear he was not going to get a real crack at being the starter until Jake Fromm was out of the picture. So Fields evaluated his options and decided to transfer to Ohio State, where Dwayne Haskins announced he was leaving early for the NFL Draft. And with incoming pressure from Fields heading to Columbus, Tate Martell decided he was ready to look for some new scenery as well rather than stick around and fend off Fields for the starting job and he transferred to Miami. What the future holds for Fields and Martell remains to be seen. Both have great potential for success at their new schools and in their football future. The good news, there are some examples of quarterbacks who took the transfer route and experienced great success in college and, for some, later on in the NFL. The bad news is a change of scenery is not always what one would hope it was going to be. Here are 10 quarterbacks who saw things work out for them after transferring in college. For starters, we’ll go with the two most recent success stories from the Oklahoma Sooners. When it comes to transferring quarterbacks, Baker Mayfield may be the ultimate success story. Mayfield started off his college career walking on at Texas Tech as a three-star recruit in 2013, and he quickly became starter in place of an injured Michael Brewer. Mayfield later was taken out of the action due to his own injury and never got a chance to win the job back under Kliff Kingsbury. That led Mayfield to leave Texas Tech and transfer to Oklahoma in 2014. Mayfield was once again walking on and fighting for his job with the Sooners. He went on to win a starting job against Trevor Knight in 2015 and led the Sooners to the College Football Playoff. 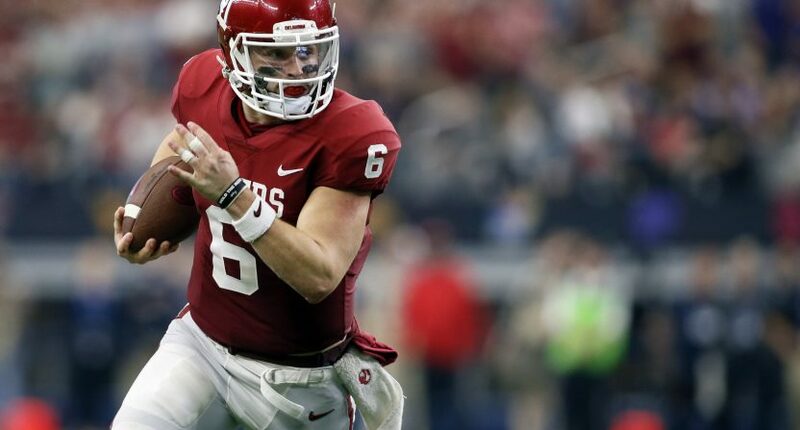 In 2016, Mayfield led Oklahoma to a big Sugar Bowl victory over Auburn and went on to win the Heisman Trophy in 2017 with another playoff appearance to follow. Mayfield was the No. 1 pick of the Cleveland Browns in the 2018 NFL Draft and quickly provided life to the Browns offense as a rookie last fall. Had he not transferred to Oklahoma, who knows what would have happened? Following up one Heisman Trophy winner is rarely an easy feat, but Kyler Murray was certainly up to the challenge last year. Murray started his college football career at Texas A&M in 2015. He was the prized possession of Kevin Sumlin’s Class of 2015 in College Station as a five-star prospect, expected to be more refined Johnny Manziel type in the Aggies offense. But things at Texas A&M were a bit of a mess with Murray initially backing up Kyle Allen only to start and later be replaced by Allen as inconsistency at quarterback plagued the Aggies. After his freshman season, Murray announced he was leaving Texas A&M and headed to Oklahoma in 2016. After sitting out the 2016 season due to NCAA transfer rules, Murray backed up Mayfield in 2017. During that time, Murray’s baseball future skyrocketed with the Oakland Athletics drafting him in the first round of the 2018 draft. The A’s agreed to allow Murray to play the 2018 season for the Sooners as he got his chance to drive the offense with Mayfield onto the NFL. Oklahoma sure benefitted from that with Murray going on to win a Heisman Trophy and lead Oklahoma into the College Football Playoff. Now, Murray is exploring a possible future in the NFL, where he will likely go, while the A’s hope he decides to stick with baseball. Another two-sport athlete with baseball and football to choose between, Russell Wilson made the most of his transfer from NC State. Wilson planned on attending spring training practices with the Colorado Rockies in 2011 after the Rockies had drafted him, but former NC State head coach Tom O’Brien was not exactly supportive of the decision. As tension and differences in opinions came to a stalemate, Wilson decided to leave NC State and transfer to Wisconsin. Wilson spent one very eventful season in Madison as he guided the Badgers to the inaugural Big Ten championship game and a Big Ten title. Wilson and the Badgers headed to the Rose Bowl and played an epic game against Oregon, although in a 45-38 losing effort. Wilson set the FBS record for passing efficiency and went on to be a third-round draft pick of the Seattle Seahawks. What a steal for Seattle. 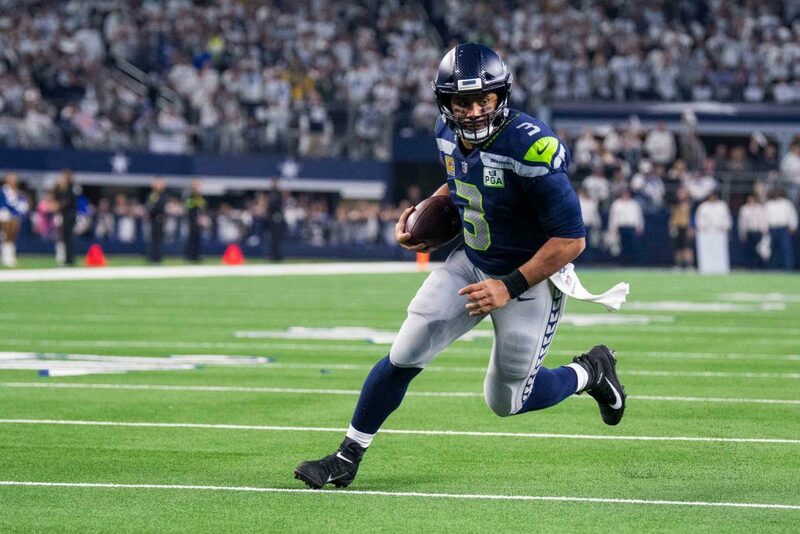 Wilson took the Seahawks to their first Super Bowl victory in franchise history and was one short pass away from delivering back-to-back titles (thanks, Pete Carroll). Wilson has been a six-time Pro Bowl player even with pre-draft concerns about his height. Perhaps the most successful quarterback transfer of all time is Troy Aikman. At least, in terms of Super Bowl rings and NFL success, Aikman is tough to beat. Aikman is a three-time Super Bowl champion with the Dallas Cowboys and a Super Bowl MVP. He is also sitting in both the College Football and Pro Football Hall of Fame. It all started with Oklahoma under Barry Switzer in 1984 when he became the first freshman to start at quarterback for the school since World War II. When Aikman was injured during the 1985 season, Switzer changed the offense to a wishbone style that led to a national championship. The following year, Aikman made a move to UCLA to be a part of an offense that would be better suited for his skills, where he went on to win the Davey O’Brien Award as top passer in the nation in 1988. Safe to say things worked out OK for Aikman. The longtime franchise quarterback of the Baltimore Ravens got his college career started, ironically, at Pittsburgh. After sitting out the 2003 season as a redshirt player, Flacco appeared in just three games for the Panthers in 2004. He completed one pass for a total of 11 yards as the backup option behind Tyler Palko. Flacco transferred after the 2004 season for his shot to be a starting quarterback with the Delaware Blue Hens. His first season as Delaware’s quarterback was rough in 2006 but 2007 ended with a ride all the way to the FCS national championship game. 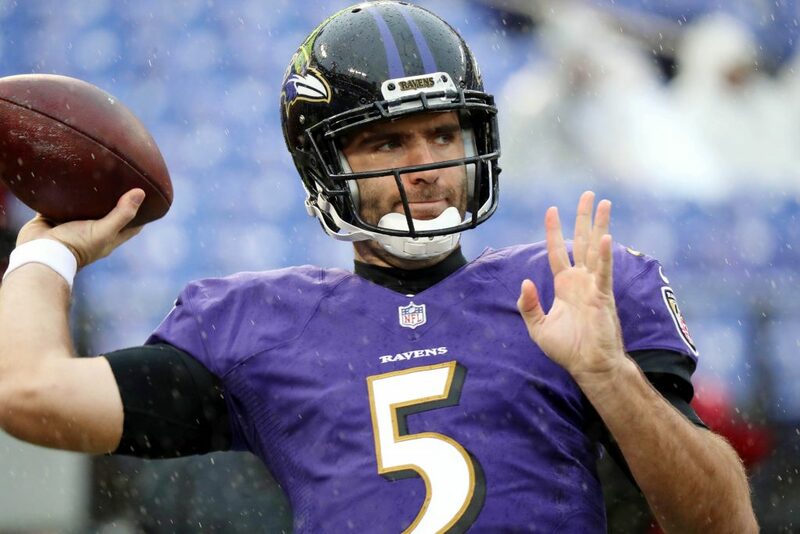 Delaware lost to the same Appalachian State team that is famous for their upset over Michigan earlier that season but Flacco’s big arm made waves and led to him being a first-round draft pick for the Ravens in 2008. With a Super Bowl and a Super Bowl MVP to his name, Flacco’s transfer to Delaware ended up paying off in a big way. Long before the age of freshman quarterbacks transferring after one year became the norm, there was Jeff Hostetler. Hostetler started off his college football career staying in-state to play for Joe Paterno and Penn State, but Paterno ended up moving forward with Todd Blackledge as starting quarterback in 1980. Hostetler played three games for the Nittany Lions before making the decision to leave for West Virginia. Although Blackledge went on to lead Penn State to a national title in State College in 1982, Hostetler did well for himself with a handful of big wins in Morgantown. Hostetler would go on to be a third-round pick for the New York Giants in 1984. A few years later, despite being the backup who was buried on the depth chart, it was Hostetler who led the Giants to a rally for the NFC championship against the San Francisco 49ers and then a Super Bowl victory against the Buffalo Bills in 1990. Hostetler was then given a chance to win a QB competition with Phil Simms the following season, and he won the job. But injuries would take Hostetler off course with the Giants and eventually led him to finish his career with the Redskins and replacing an injured Gus Frerotte, who headbutted a wall. Decades after Hostetler filled in for an injured quarterback to win a Super Bowl, Nick Foles became a Philadelphia legend. 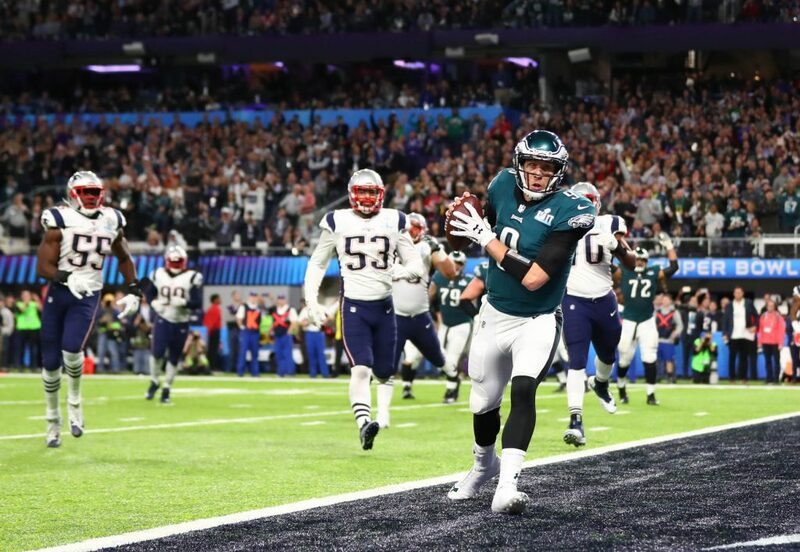 Foles led the Eagles to their only Super Bowl in franchise history in the 2017 season after replacing Carson Wentz late that season. But before Foles made his way to the NFL, he had to leave Michigan State in pursuit of a chance to flourish with the Arizona Wildcats. Foles spent one season in East Lansing in 2007. Brian Hoyer had the starting job locked down for the Spartans and Kirk Cousins was about to take control. Foles headed to the (then) Pac-10 and began getting his chance in 2009 with three years of eligibility. He ended his career as the Pac-12’s leading passer in 2011 and would go on to be drafted by the Eagles in 2012. Foles initially backed up Mike Vick in Philadelphia and later won the starting job, eventually having some success under Chip Kelly in Philly. But the ultimate success would come in his second tour of Philly with the legendary “Philly, Philly” and a Super Bowl parade. Flying beneath the radar of successful quarterback transfers may be Jake Coker. After being on a BCS national championship team, backing up Jameis Winston in 2013, Coker decided he needed to spend his final year of eligibility elsewhere with Winston due back in Tallahassee. Coker managed to find a home with Alabama as a graduate transfer in 2014. After initially losing a competition for the starting job to Blake Sims in 2014, Coker won the job the following season. Coker ended his college career on a winning note as Alabama outlasted Deshaun Watson and Clemson in a wild national championship game to close out the 2015 season. Coker’s pro career did not last long. He announced his retirement from the sport in April 2017 after going undrafted and being released in training camp by the Arizona Cardinals. It was only fitting that the Nebraska native decided to come home to Nebraska. No, this isn’t about Scott Frost leaving UCF to coach the Huskers. This is about Frost leaving Stanford to play for Tom Osborne in Lincoln. After two years with the Cardinal, Frost made the decision to transfer to Nebraska after the 1994 season. After sitting out the 1995 season as a redshirt player and due to NCAA transfer rules, Frost went 24-2 as a starter for Nebraska. As a senior, Frost led Nebraska to a share of the national championship with an Orange Bowl blowout of Peyton Manning and Tennessee (Nebraska split the national title with Michigan). Frost’s success is now measured by what he does coaching in Lincoln, but his transfer as a player remains one of the more successful moves. Some transfers won a Heisman Trophy. Some won a national championship. Some played in the Super Bowl. Cam Newton did all three. Newton started off his college career with the Florida Gators and started off as the backup to Tim Tebow in 2007. But after suffering an injury in 2008 in the season opener Newton took a medical redshirt for the rest of the season. Later that fall, Newton was arrested for burglary of a laptop computer and he was suspended from the team by Urban Meyer. Newton spent 2009 with a junior college before getting back to the SEC in 2010, this time with the Auburn Tigers. What a year it was for Cam, as he went on to win the Heisman Trophy, beating out Andrew Luck for the award, guiding the Tigers to a storied comeback against Alabama in Tuscaloosa, winning the SEC championship and then topping Oregon in the BCS National Championship Game. Newton went on to become the No. 1 overall pick of the Carolina Panthers, where he has been selected to three Pro Bowls, was named the 2015 MVP and guided the Panthers to a Super Bowl appearance. Sure, there have been some highs and lows for Newton in the NFL, but his transfer to Auburn took his football career to new heights that could have easily been thrown away after his legal problem at Florida.